George Lucas wrote the first draft of his script for "Revenge of the Jedi" on this day in 1981. "Revenge of the Jedi" was the initial title of the third film in the Star Wars franchise, which was later changed to Return of the Jedi. Well up until a year before the movie was released in cinemas the marketing team at Lucasfilm had promoted the film as "Revenge of the Jedi". Fans may recall the fact that Lucasfilm released a teaser trailer and poster in 1982 dubbing the drafted title. George Lucas and Lawrence Kasdan were the writers of the screenplay and both initially agreed that Revenge of the Jedi was a much stronger title than Return of the Jedi. The Star Wars director decided to change the title because he felt that 'revenge' was not the Jedi way. 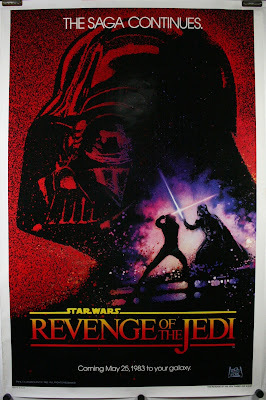 Instead the word 'revenge' would be used in a later Star Wars film of course with Episode III: Revenge of the Sith. 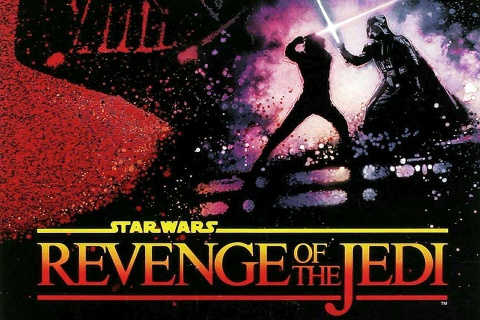 The connotations of revenge were seemingly more appropriate for dark side users than Jedi.